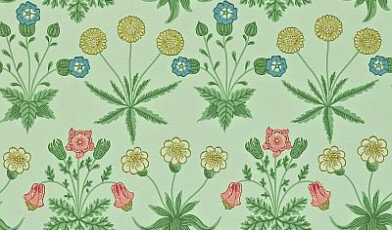 This is a lovely design based on the first William Morris Design from 1864. Lovely. I lovely the pale blue version. 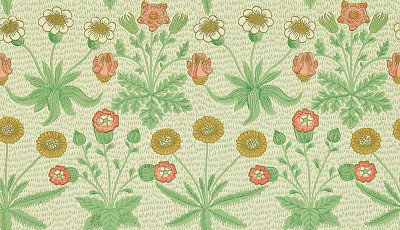 An adaptation of one of the very first William Morris designs from 1864 with a simple embroidery style daisy motif. 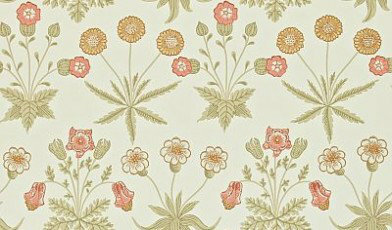 Shown in the soft neutral colourway with yellow and pink flowers. Please request sample for true colour match. 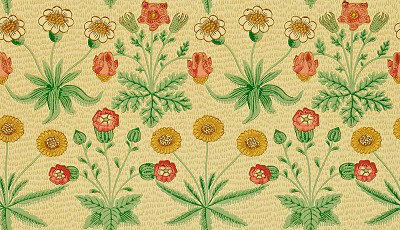 An adaptation of one of the very first William Morris designs from 1864 with a simple embroidery style daisy motif. Shown in the fresh blue colourway. Please request sample for true colour match. An adaptation of one of the very first William Morris designs from 1864 with a simple embroidery style daisy motif. Shown in the fresh pink yellow and green on cream colourway. Please request sample for true colour match. 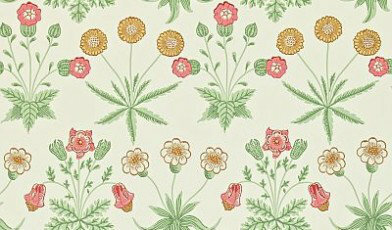 An adaptation of one of the very first William Morris designs from 1864 with a simple embroidery style daisy motif. Shown in the fresh green with multicoloured flowers. Please request sample for true colour match. A flat wallpaper that is suitable for most rooms. It is not however recommended for use in kitchens and bathrooms. A flat wallpaper that is suitable for use in most rooms. It is not recommended for use in kitchens or bathrooms.